When trying to find effortless dinners to cook for your family, look no further. 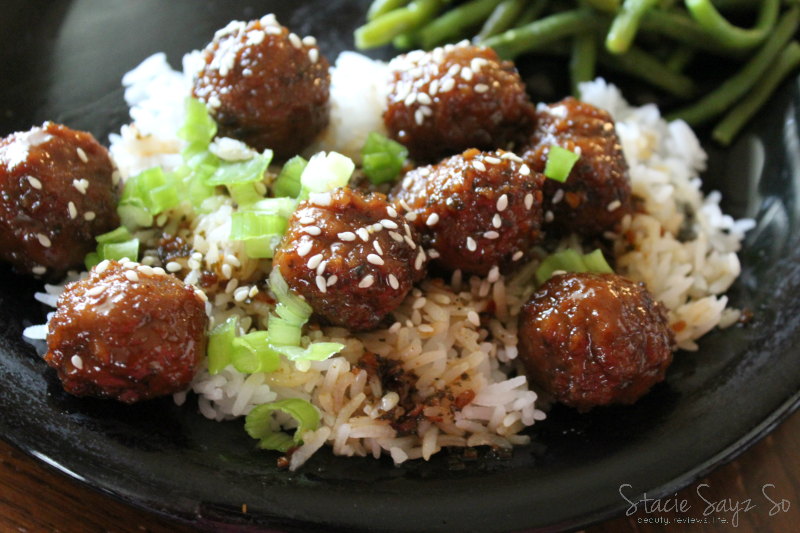 Teriyaki -style meatballs with Jasmine rice are your perfect meal solution. It tastes so good, your family is sure to love this dish! I purchased Bremer meatballs from ALDI and Padma's Easy Exotic Jasmine rice which is frozen yet cooks beautifully in the microwave. Kalbi Marinade is the secret to this tasty dinner and can be found at Kowalksi's locations. 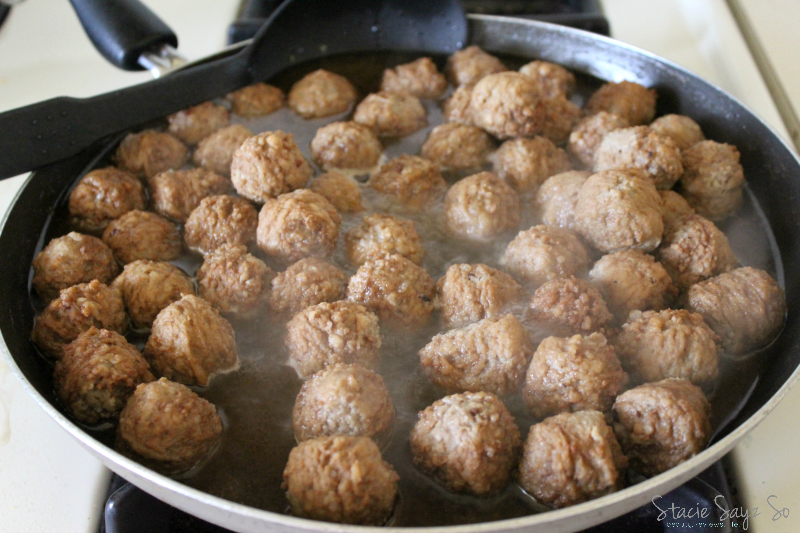 Add water to meatballs and heat thoroughly until hot (about 10 minutes). Drain off most of the water and add Kalbi Marinade to the meatballs. Stir and simmer. Chop green onions and microwave rice for 3 minutes. Serve rice on plates. Put meatballs on top of rice. Spoon extra sauce on meatballs and rice. Garnish with green onions. Have you tried Kowalski's Kalbi Marinade? Do you think you'll make a similar dish at home? *I was not asked nor compensated to do this post. I just wanted to share a delicious recipe with my peeps! Would love to try this sometime. I don't know why I never pick up frozen meatballs. The marinade looks yummy! We eat frozen meatballs all the time. I have a thing about touching raw meat lol. This looks amazing and I love Jazmine rice, this may be on my menu next week. This is the first time I tried Jasmine rice and I think I'm hooked! Ooo my that's perfect. Love it girl. This looks so amazing! 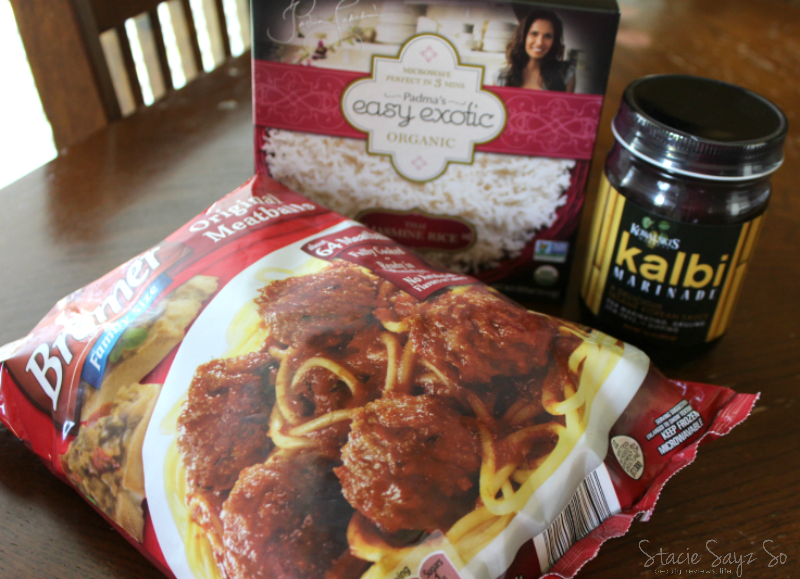 I keep frozen meatballs in the freezer for easy meals! I'll have to try this! A girl after my own heart. Definitely give it a try. Oh I am making my grocery list in a few minutes and I haven't had meatballs in so long. Hope you were able to try it out! I am so hungry right now. That looks soooo good! I rarely have teriyaki but when I see it I remember how much I like it. These look delicious. This was so quick and easy for a dish so nice and tasty looking. Quick & easy is what I'm all about! I've never tried the hat that marinade but I certainly would. This looks like a yummy meal and cheers to it being so quick and easy! That's always a win in my book. The marinade can only be found here but you could substitute it for your favorite teriyaki sauce. Looks delish! I'll be trying out this recipe! That looks good but I hate teriyaki sauce. Aw, maybe you could try a sweet and sour or curry sauce instead. Nice & simple, right up my alley for a mid week meal. Looks delicious! Seems like a quick, simple recipe. Your pictures make it look so yummy. What a creative idea for something different with meatballs. This looks great and I am going to have try this. Thanks! I'm always trying to see what I can do with meatballs lol. This looks absolutely delicious!!! I've never heard of this sauce but will be looking into it most definitely! You won't find it unless your're in MN, but you may be able to order it online. Yes, your girls would love it! It's basically a really tasty teriyaki sauce. Just use your favorite brand. Looks great, I love teriyaki. 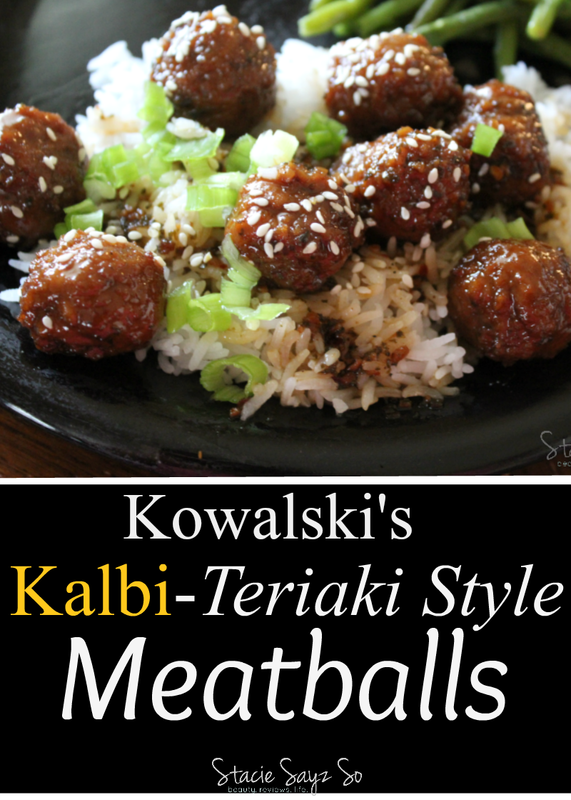 I haven't tried Kowalski's Kalbi Marinade, but these meatballs sure look worth trying.